Angela Tungol, Mich Wunder, Shoichi Oka, and Yen Quirante have already attained their once far-fetched ambitions of making it to Pinoy Big Brother after being named as the first four official housemates of the third Batch of the Otso Season during the re-opening of the famous yellow house last Saturday evening, April 6. And on Sunday night’s episode, we were able to meet the other four teens who completed the elite list. 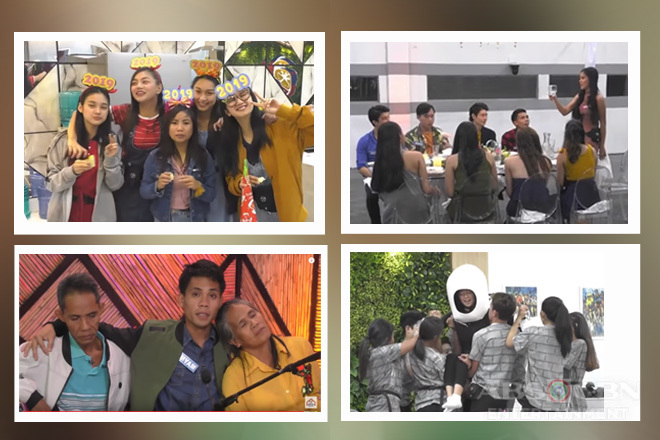 It can be recalled that on their first day as housemates, Kuya bestowed his initial challenge for the first new teen housemates that would allow them to open the house and enter it. Choosing the “Palangi-Teen Dreamer of Camarines Sur” to be their Human Key, the Angela, Mich, Shoichi unmistakably had a hard time carrying her through every obstacle course they had to hurdle while attempting not to ring the attached bells, lest the door would be blocked with eight planks of wood. In spite of failing to prevent the bells from ringing and having to jump over the planks of wood, the four were able to successfully open the huge locks of the glass door and step into the house. Meanwhile in the Camp Star Hunt, the first four Star Dreamers were also given a mini task by host Alex Gonzaga. In this challenge, Batit Espiritu, Jem Macatuno, Narcy Esguerra, and Shami Baltazar had to find the eight hidden phrases around the house with the use of the black light provided to them and compose a chant with matching choreography out of those. They also succeeded in their task yet we’re still looking forward if their little performance will impress Alex and let them unlock the rooms, furniture, and other objects inside the camp. In the continuation of the announcement of the current season’s new batch of teen housemates, the “Dance-Irella of Isabela” Sheena Catacutan was declared the first teen housemate for the evening, leaving the “Beautiful Bunso-weetie of Albay” Gwen Apuli as a Star Dreamer still. Acting as their ‘kuya’ and leader during their Big Island Adventure, the “Promdi-Livery Boy of Lucena” Alfred Beruzil might have astounded Big Brother that’s why he picked him to be his official housemate at this point and sending the “Tripster Tropa of Camarines Sur” Emjay Savilla to the Camp Star Hunt. The “Miss Palang-ganda of Cebu” Kyzha Villalino wasn’t able to hold back her tears upon opening her treasure chest and seeing the PBB Otso logo inside. She might not have fully fulfilled her PBB dream yet but the “Adventurous Angel of Australia” Ashley del Mundo still faced her fate as still a Star Dreamer with a smile on her lips. 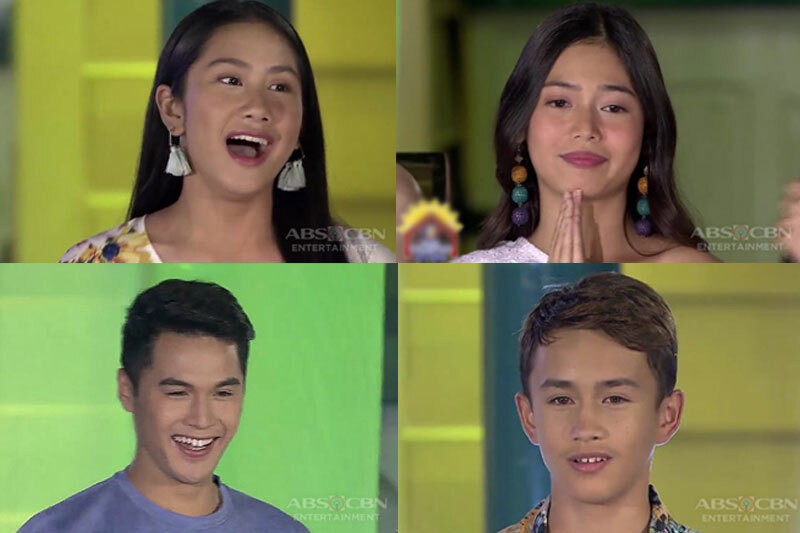 It was indeed a battle between two young Davaoeños as the “Cap-Teen Ball Cutie” Lance Carr and the “Kulit-Tisoy” Tan Roncal were pitted against each other to determine who among them would complete the list of the eight official housemates of this batch. In the end, it was the latter who was chosen by Kuya. Are you looking forward as us to witness what will transpire on the first time that the teen housemates and the teen Star Dreamers will be complete? So, you better not miss the upcoming episodes of PBB Otso!